Last week, we were inpatient at the Children’s Hospital of Philadelphia transitioning on to the ketogenic diet. 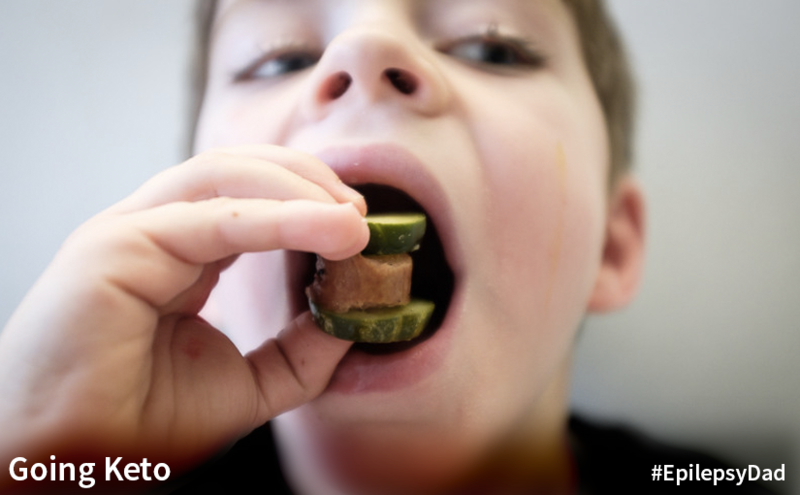 If you’ve never heard of it, the keto diet (as those of us that are “in the know” call it) is a high fat, low carb diet that has shown to have benefits for kids with difficult epilepsies. The diet was codified in the 20’s, but it’s basically based on all those accounts of fasting doing amazing things for people thousands of years ago, including those stories in the Bible. Fasting causes your body to burn fat. When your body uses fat for energy, it produces ketones in the blood. Those ketones making it to the brain helps with seizures for some people. The diet basically mimics the fasting process by giving the body only enough carbs and protein as it needs to develop but otherwise giving the body only fat to burn for energy, producing ketones. Different hospitals have different protocols for getting people on the diet, but CHOP does a week of inpatient training to make sure the parents are ready to support their child on the diet. It’s a lot of measuring, a lot of math, some cooking, and all geared towards making the diet as successful as possible. This slideshow covers our week of admission. Learning to draw blood, cooking in the kitchen, meeting an Ultimate Frisbee Team and a professional NFL player. Bone scans, hair nets, IVs and food. It was a lot to process, and even writing this post took days after admission to craft. The diet doesn’t work for everyone. For those it does work for, some people have claimed a benefit during admission, others showed progress weeks or months after admission. However long it takes and whatever we need to do, we’re going to do everything we can to.